Bring your marketing and production processes together from idea to delivery for greater visibility, productivity, insight and performance. Adstream provides a full suite of connected solutions for brands, creative agencies, production houses and media owners. A place for your team to produce, approve and organise content together. 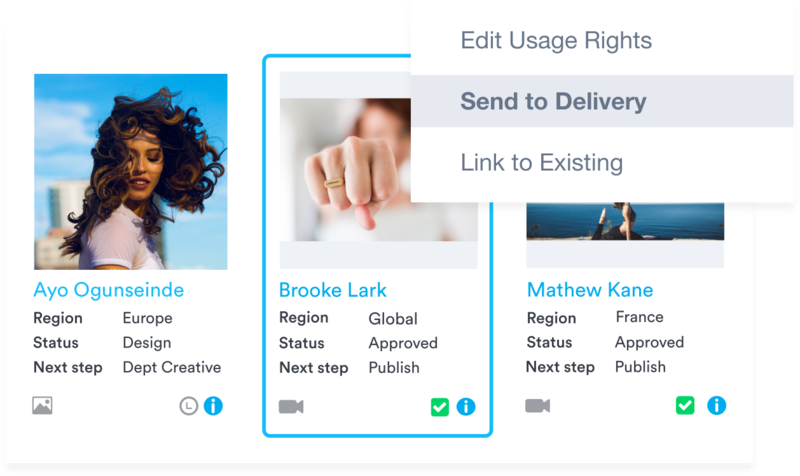 Adstream goes way beyond regular digital asset management, giving your entire marketing or production department a single workflow, full visibility and powerful content insights. Once your TV, digital or print campaign is ready to go, Asset Delivery makes distribution simple, connecting you to a network of over 79,000 media destinations worldwide, and auto adjusting your ads to look and sound perfect at every destination. Designed to help broadcast and publishing teams work smarter, Traffic Management is an inbox for incoming ads. You see exactly what's arriving and have the tools to share, approve, and send ads to production. Media Automation speeds-up interstitial media workflows, enabling broadcast teams to automate clearance, encoding, usage rights workflows and more, across linear, digital and VOD. Understand the effectiveness of your team, track deadlines, monitor productivity and gain insights into every commercial in your network, with real-time reports.